We’ve written before about the wondrous powers of baking soda here at The Greenists, but here’s another cheap, easy-to-find substance with all kinds of uses: hydrogen peroxide. 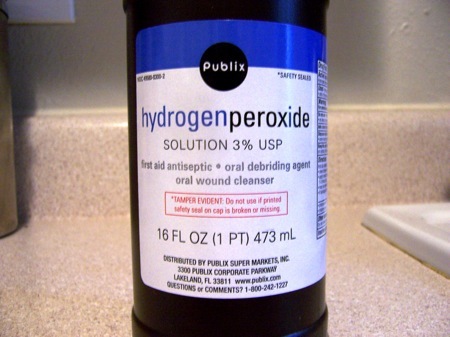 When I was a kid, my mom used hydrogen peroxide to bubble away the germs after I skinned my knee or got into a rambunctious fight with my brother that ended up bloody. Little did I know that hydrogen peroxide can be used for all sorts of things around the house, even when one is too old to be roughhousing with her brother anymore. Why buy expensive products when you can get the same job done with a $2 bottle of hydrogen peroxide that you can find at any grocery or drugstore? It’s cheap, it’s effective, and it involves less packaging — win/win/win. 1. Use it in place of bleach. 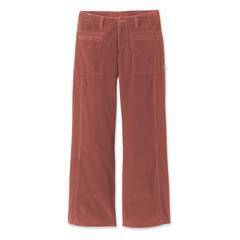 Did you spill spaghetti sauce all over your favorite white shirt again? Instead of bleaching it, add half a cup of hydrogen peroxide to your next load of whites, and that stain will come right out. Just be sure you’ve got all whites in that load, because this stuff REALLY bleaches. It’ll even get out blood stains. 2. Make your bathtub grout white again. A while ago I noticed the grout in my bathtub was slowly starting to turn … well, let’s just say not white. My regular all-purpose cleaning spray wasn’t doing the trick, so I simply poured some hydrogen peroxide on the grout and let it sit for a while. When I checked on it after an hour or two, the mildew had all bubbled away, and my grout was gleaming white once again. 3. Whiten your teeth. Instead of buying mouthwash, pour one teaspoon of 3% hydrogen peroxide into your mouth and swish for about five minutes every day. It’ll kill the bacteria growing in your mouth that lead to tooth discoloration. Be prepared for the peroxide to bubble, so it will feel a little weird, and be sure not to swallow it. 5. Keep your ears clean. Yeah, it’s gross, but we all get waxy buildups in our ears. Put two or three drops of hydrogen peroxide in your ear and let it sit for a few minutes (or as long as you can keep your head tilted to the side without straining your neck too much.) Then flush out your ear carefully with warm water and dry it with a soft cloth. What do you use hydrogen peroxide for? I need to invest in some hydrogen peroxide. My grout could use a little whitening too. Cat trick. When there is an accident, hydrogen peroxide can go right on the carpet. Test a spot first, but I’ve never had it bleach it. The bubbling action “eats” the enzymes that create the lingering smell and make them want to go to the bathroom there again. Works like a charm. I’ve bought borax and vinegar and baking soda for household stuff; why do I always forget about hydrogen peroxide? I’ll have to pick up a bottle and try it on some whites. Nothing else works on the dingiest and oldest of them; hydrogen peroxide is worth a try! I use food grade peroxide from the health food store (diluted) to soak anything I’m going to eat raw. Also, grapefruit seed extract is great too. Oh, and I also soak my toothbrush in it to disinfect it….